Our landscape designers work with pool companies to design and build pool surrounds and coordinating landscapes all the time. Outdoor kitchens, custom stone firepits, and water features are all part of our expansive offering as a full-service landscape contractor. Over the years we have noticed a trend of the tropics when designing for homes with or without pools. Take a look at some of our favorite tropical-looking plants and trees below. Its evergreen waxy leaves are adorning many mantles and front doors thanks to Chip and Joanna’s Southern twist on the traditional pine or boxwood wreath. These southern staples are a great addition to your future backyard tropical oasis if you are looking for a tree to fill a larger space. 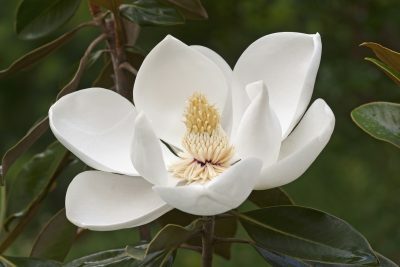 The Magnolia will grow upwards of thirty feet and bare showy blooms in the warm months. These add great interest in an outer pool surround and add to a tropical feel. Crape myrtles come in a variety of sizes and range from dwarf shrubs, under four feet, to mid-size trees, 15 to 20 feet tall. The crape myrtle are also available in several colors. These add great interest in an outer pool surround and add to a tropical feel. Though do be careful, because not all varieties are cold hardy. We stock the hardier varieties for the St Louis climate. Pop a few hardy hibiscus in containers around your patio for an instant ode to the tropics. 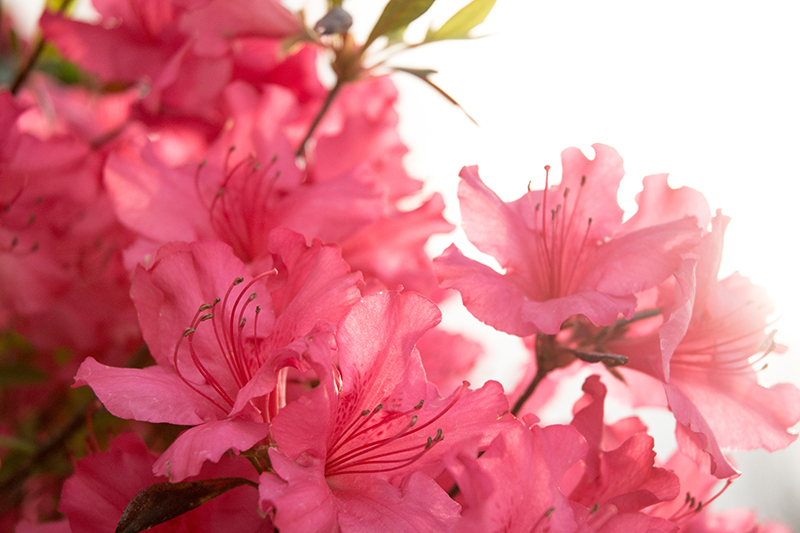 These big, bright flowering plants naturally prefer full sun and come in a variety of shades from bright pinks and reds to yellows and oranges. Be sure to call ahead and make sure these are still in stock as they go fast! A perennial cousin to the tropical hibiscus, these winter hardy perennials bare large, 10-12 inch, dinner plate sized flowers in summer. They come in several shades of white, pinks and reds. 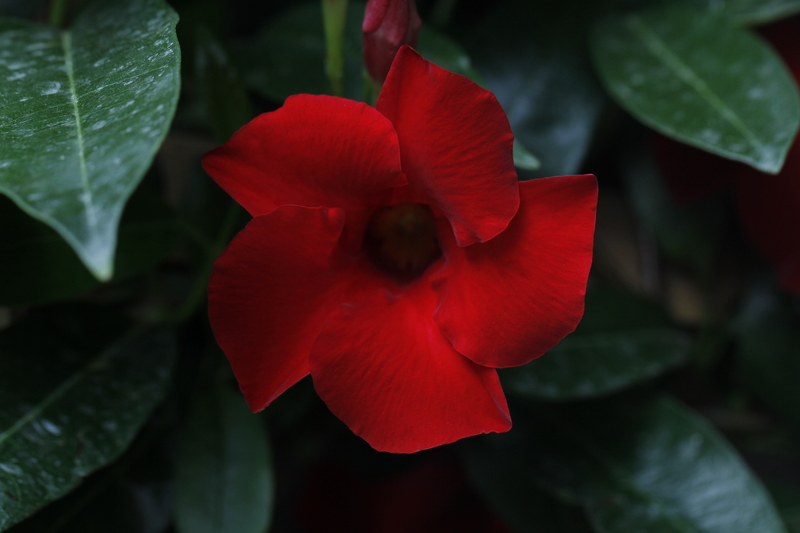 Mandevilla is another great tropical option and the climbing varieties look beautiful blooming on a trellis or fence. Mandevilla blooms are smaller than hibiscus but still pack a tropical punch that looks great around a pool or near a water feature. Be sure to call ahead and make sure these are still in stock as they go fast! 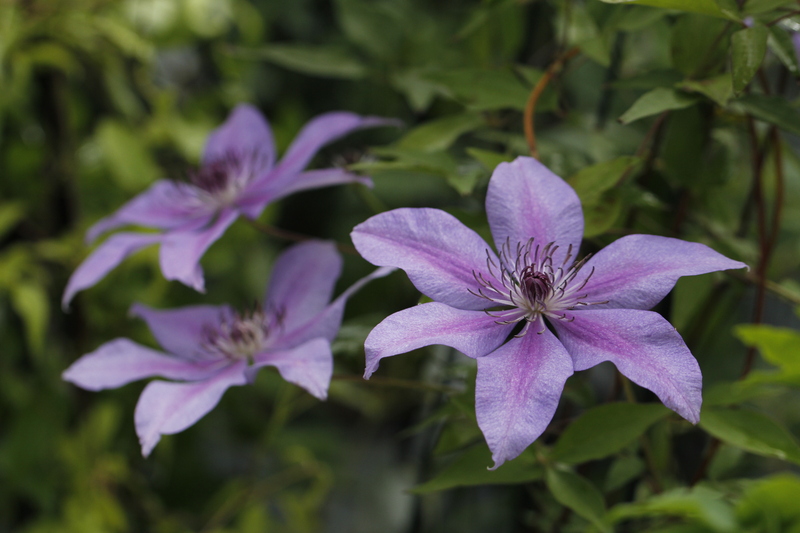 Clematis look great climbing trellises or mailboxes for a bright, star-like tropical display. Clematis come in a variety of colors, a few that are less common in Hibiscus or mandevilla such as white and purple. These vines though tropical looking are hardy perennial vines here in St Louis. Banana trees are sought after in the summer for their tropical palmy looks but in order to get bananas growing on one here, it would take some close attention and lucky weather. For the most part, it’s too cold for that here. Still, if you are looking for that tropical palm tree look, you’ll get it in a Banana tree. We love using a variety of plants in a landscape that gives height and depth but also emits a relaxing, care-free lifestyle. 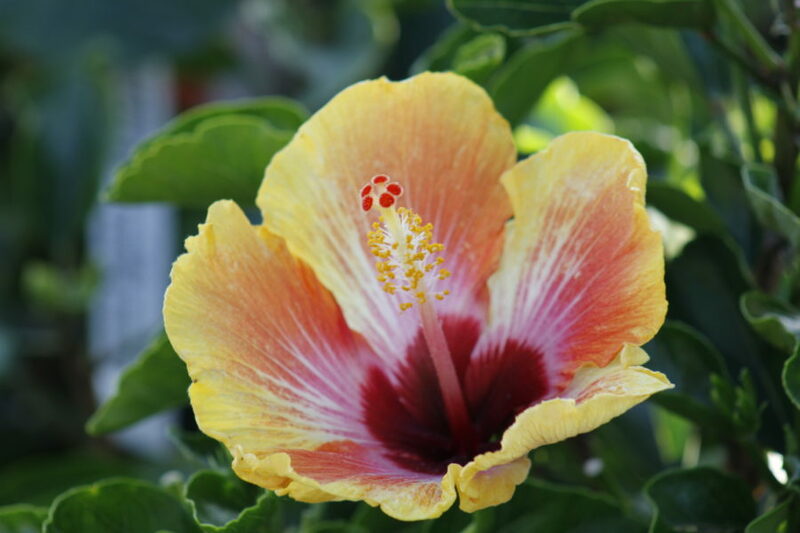 If you are looking for a quick way to add a tropical feel to your yard, come by the nursery and let us help you decide which is best for your outdoor space.